Justice is not only about the right way to distribute things. It is also about the right way to value things. As we farewell the outgoing National Party under the leadership of the Rt Hon Bill English, we welcome incoming Prime Minister Elect Jacinda Ardern and just announced Deputy Prime Minister Winston Peters. The details of the Labour Party’s agreements with the Greens and New Zealand First, along with ministerial positions, will be revealed over the next week. 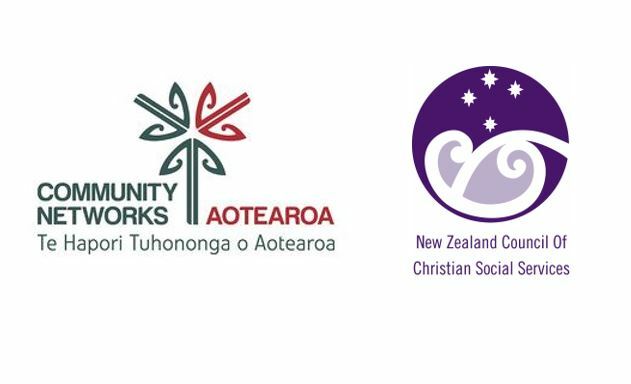 This is a time of change and as NZCCSS works through these policy agreements and what these means for the social service sector, we will post further updates. Meanwhile, here’s a short update on other items which have caught our eye. The Labour Party – Labour has a big programme of work across housing, health and education, families and the environment over the first 100 days. Note the list is before coalition talks began. Labour has named its 16 MPs who will be in Cabinet but portfolios will be released along with the portfolios given to the Greens and New Zealand First later this week. The Green Party – The green campaigned on a broad range of environmental, social and economic policies. Some of details of the Greens deal have already been released, including a guarantee for a public referendum on legalising cannabis. They will have three ministers outside Cabinet – the leader James Shaw, Julie-Ann Genter and Eugenie Sage – and Jan Logie will become an under-secretary. New Zealand First – New Zealand First will have four Cabinet positions and one under-secretary, with Shane Jones, Ron Mark and Tracey Martin alongside Mr Peters. 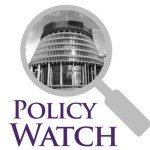 Policies to watch out for: immigration, monetary policy and the Reserve Bank, New Zealand First’s North Port proposal, and the establishment of a Pike River Recovery Agency with a dedicated ministerial portfolio. 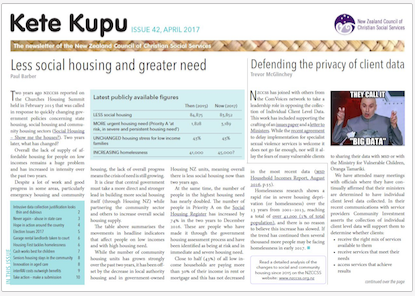 Social Investment – This was the treasure of the outgoing Rt Hon Bill English but how will the social investment approach fare under the government? It’s too early to know. However, Profession Jonathon Boston is arguing to keep the building blocks of this model (the best available evidence and really good analysis, decision-making processes and relationships with service providers). Bill Rosenberg,Council of Trade Unions, is less keen on continuing with this approach, saying social investment doesn’t address underlying causes i.e. poverty, poor housing, which create the conditions in which people become vulnerable. Life on a benefit – The aspiration is for WINZ to provide a highly effective, highly empathetic service, but the experience of people seeking support from WINZ simply does not bear this out. Radio New Zealand’s Insight explores this tension through a variety of lenses (Service manager/beneficiary recipients/ex WINZ worker and Citizen’s Advice Bureau/researcher), and although finds no resolution, it provides insight into what lies behind a divergence of viewpoints on the extent to which WINZ staff operate within a culture of empathy. Well worth a listen! Don’t know what they are entitled to – The public sector’s move towards e-government is causing angst for people with limited computer literacy according to Citizens Advice Bureau (CAB) in Whangarei. Government services are increasingly delivered online or through call centres. Fine for those with the literacy to navigate services online but the availability of face-to-face interactions should remain available to those who are more effectively supported this way. NZCCSS notes Frontline Service Manager, Kay Read’s interview for Insight touches on the intention for complex cases to receive direct contact with WINZ. NZCCSS looks forward to hearing more about this policy but would like to see it extended to anyone who feels they would benefit from face-to-face human contact. Naenae Benfit Impact – The Archdiocese’s Catholic Social Services have again partnered with the Hutt Valley Benefit Education Service Trust (BEST) to organise a ‘Benefit Impact’ information event. This second Benefit Impact will be held at St Bernadette’s in Naenae, part of Te Awakairangi parish, during the week of 14–17 November 2017 – timed to be in the week before Pope Francis’ first World Day of the Poor. The Benefit Impact event invites beneficiaries, superannuitants and others on low-incomes to come and check their benefit entitlements with trained advocates. There is a training opportunity on Monday 13 November to work as a benefit advocate during the Benefit Impact week. Other volunteer roles include welcoming people and assisting with administration. 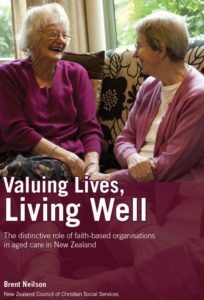 For more information, phone Lisa Beech, Wellington Catholic Social Services (04) 385-8642, or Teresa Homan, Hutt Valley BEST (04) 529-8108. Mental Health Services – mental health continues to play the poor cousin to the aged care and disability sector despite reports the number of people seen by a GP with a diagnosed mental health issue has increased by 22 percent. The pay gap between aged and residential care workers and mental health support workers is now seeing staff moving out of mental health services in search of the same pay packet found in the disability sector. The result is increasing reports of mental health services at breaking point. Capital and Cost DHB are considering the employment of healthcare assistance. A solution not supported by the NZ Nursing Organisation. A group of Māori rangatahi are not deterred by any of these workforce issues and have forged ahead and created a video Time to Talk to encourage New Zealanders about mental health and suicide. Homelessness Challenge – Over 200 people slept outside on cardboard boxes to raise $70,000 for the homeless. The Salvation Army’s 14 Hour Homeless event has been running four years and along with raising money, the event helps to raise awareness about the extent of homelessness in new Zealand. Empowerment & Success Conference – The conference is now a week away! We encourage you to have a look at the finalised programme and consider the workshops you would like to attend, The conference is at Quality Hotel Lincoln Green, 159 Lincoln Rd, Henderson, Auckland 0610. On the first day, Thursday 26 October, doors open at 8.00am with tea/coffee available Registrations will commence at 8.30am. Mihi Whakatau and Karakia will open the conference at 9.15am. Please be seated by 9.10am. For those of you attending the conference dinner, it will be held at the same venue that evening at 7.00pm. The second day, Friday 27 October, will commence at 9.00am and the conference will end at 4.00pm. Opportunity to trial new accreditation platform – Accreditation is working to improve the interactions between social service providers and government agencies; reduce the cost of compliance; and enable better social services. As part of this, Accreditron is currently building the Accreditron platform, which aims to reduces compliance time and cost for both providers and government agencies; streamlines compliance processes; and improves transparency between providers and agencies. We are going through rigorous security testing in November which will ensure the platform is secured. Until then we won’t store any data in it. People are at the centre of everything we do. We are using human-centred design and co-design methods to tailor the system to the people who use it. We invite you to participate in a trial programme, where we will test the platform with you and continue to improve it. If interested, people can contact me at dana@traject.nz to schedule a time. Webinar: Treaty Voyages – How’s Your Organisation Faring? – How is your organisation faring? Applying the Treaty of Waitangi in your organisation is a journey. Whether your voyage is well underway or you’re wondering how to start, this webinar will provide guidance. Jen Margaret offers practical insights, drawn from her latest research Ngā Rerenga o te Tiriti and from many years of practice and reflection by Treaty practitioners, community organisations, and mana whenua. Advancing Effective Child-Centred Practice – The Brainwave Conference 2018 is for professionals working with vulnerable families in our community. Brainwave is delighted to bring from the USA, Professor Philip Fisher, Center on the Developing Child, Harvard University. Prof. Fisher’s work focuses on developing and evaluating early childhood interventions in socially and economically marginalized communities, and on translating scientific knowledge for use in social policy and programs. Click on the link to find out more. 4th Childhood Studies Colloquium – Theme is Growing up in our democracy: Provision, participation and provocation.The aim of this event is to bring together people interested in children and young people and their wellbeing to share ideas, research and to generate inspiration together. Keynote speaker: We are thrilled to have Golriz Ghahraman as our confirmed keynote presenter for the day. Please register now for the event. Registration includes lunch and morning/ afternoon tea. Registrations close one week before (Nov 6, 2017) and there are 2 costs: 1) Waged and salary earners: $50.00 (includes $3 for ticketing) 2) Non-waged and students: $35.00 (includes $3 for ticketing). Enhancing evidence-informed policy making (July 2017) http://www.pmcsa.org.nz/wp-content/uploads/17-07-07-Enhancing-evidence-informed-policy-making.pdf – If you need something to take home to read this weekend, look no further than this report by Professor Gluckman, the Prime Minister’s Chief Science Advisor. This is a follow up on Gluckman’s 2013 report and sets out developments which have occurred at the science -policy interface.